A myriad of facial treatments have emerged in the 21st century claiming to treat everything from acne to sagging skin. Some are beneficial; others are simply a waste of time and money. The best facial treatments will vary depending on the individual need, but most employ cutting-edge technology help improve the look of facial skin. According to the cosmetic dermatology website, DermaNetwork.org, the best treatment for fine lines, wrinkles, persistent red complexion, sun spots, acne scars, large pores and other blemishes is a procedure called photorejuvenation. It uses Intense Pulsed Light, or IPL, to deliver light to deeper cells, leaving the surface cells undamaged. Unlike dermabrasion, there is virtually no recovery time and no chemicals are needed. Different versions of IPL target different skin conditions and the thermal effect helps increase collagen production, which results in fewer wrinkles. A dermatologist must perform the procedure, which may require repeated treatments. According to KidsHealth.org, one of the best facial treatment for acne scars is microdermabrasion. Microdermabrasion is a facial treatment that can be accomplished in a relatively short period of time—one reason it is often called the "lunchtime wrinkle treatment." Using tiny crystals and a facial buffer, a technician gently removes the top layer of dead skin cells from the face, revealing softer, smoother, more plump cells underneath. Microdermabrasion is often used to help eliminate dark, age spots and acne scars. 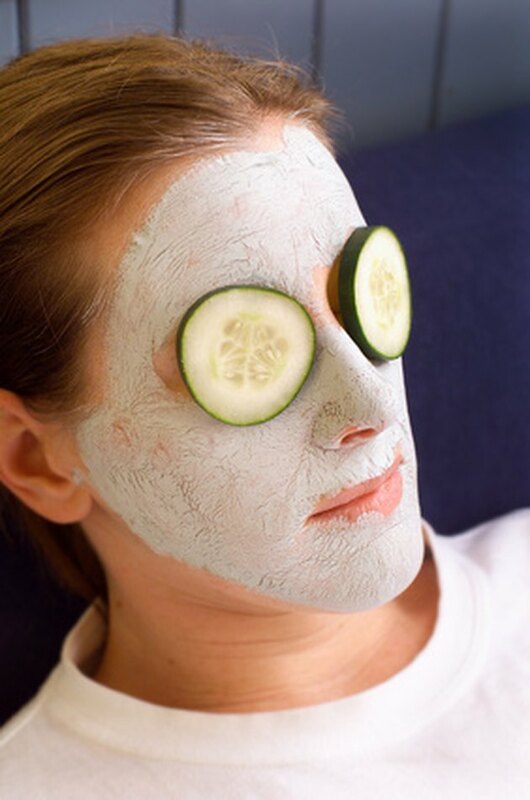 According to MayoClinic.com, microdermabrasion is one of the best facial treatments for smoothing out wrinkles. However, while one treatment is beneficial for revealing softer skin and eliminating rough, dead cells, several treatments may be necessary to eliminate more stubborn spots. Microdermabrasion can be administered by a trained esthetician or a milder home kit can be purchased at retailers nationwide. Similar to microdermabrasion, chemical peels remove the top layer of skin using a chemical solution to effectively burn the dead surface cells of the face. Chemical peels can help diminish the signs of aging, reduce uneven pigmentation and eliminate surface scarring. Chemical peels come in light, medium and deep and are often administered by a physician or trained clinician. KidsHealth.org recommends chemical peels as one of the best ways to eliminate acne scars and MayoClinic.com states that chemical peels are one of the best ways to eliminate wrinkles and age spots. According to MayoClinic.com and Journal Watch, a website from the publishers of the "New England Journal of Medicine," topically-applied retinoids—derivatives of vitamin A—are one of the best facial treatments to improve the texture and fine lines of photodamaged skin. They are inexpensive, can be obtained without a prescription, don't require a trained professional to administer and the results have been shown to temporarily reverse signs of aging. Mild retinol creams can be purchased over the counter while stronger concentrations must be prescribed by a dermatologist. Can Any Masks Cure Acne Scars? How Do I Get Rid of Acne Craters in the Face?